Then I Got To Thinking...: Happy Birthday, MOM! what a great tribute to your fabulously stylish mother! she sounds like an amazing woman. Beautiful post. Happy birhday to your mama! She deserves a fabulous day! She sounds wonderful, how lucky you are. She looks beautiful in all those photos - love the wedding one - did she wear her black Manolos that TL gave her that day? Happy Birthday to mama! She sounds incredible. Happy birthday to your Mom! Where would we be without our wonderful mothers, seriously! this post is so so sweet! happy birthday to your mama!! does she read your blog? i think she should read this post, it might make her cry happy tears and make her day!! Happy Birthday, Kathy! What a nice post, Tracy! --- Linda Z. Love all the pictures, she's so pretty & looks so happy in them all. Aw Happy Birthday to you mom! She's such a gorgeous lady! Happy Birthday to your mom! I hope she has a wonderful day and I loved reading all of the kind words you wrote about her. I especially liked the photos of you and her on your wedding day and also the one of her, you and your sisters. Yeah for mom!!! Well stated Tracy... she is absolutely on in a million!!! Happy Birthday mom! AWW! Happy birthday to your mom! You look just like her, especially in the first picture-- I bet you get that all the time!! She sounds like the loveliest lady. Hurrah for wonderful mothers everywhere! 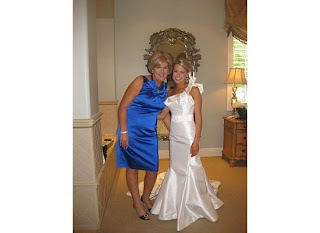 Your mom is beyondddd stylish and chic - no wonder you have such perfect sense of style =) I absolutely LOVE the dress your mom wore at your wedding! And she sounds like such an incredible woman - you're very lucky, doll! 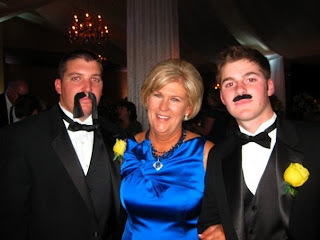 What a fantastic post to celebrate your Mom's birthday Tracy! I couldn't have worded it better myself with my mom. I have three older sisters and we were blessed with the best woman for the job! Love your one shoulder wedding dress by the way! So sweet. 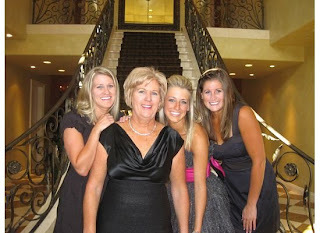 I'm sure your mom is just as blessed to have 3 wonderful daughters as you 3 are to have such an amazing mom. Happy birthday to her! How sweet! I hope I'm just as good of a mom one day as well! I can't wait! Awwww yay!! Happy Birthday to your Mom, she sounds so amazing!!!! It's so nice to meet you! Thank you very much for entering my giveaway and for following along on my blog as well. I really appreciate your kindness my friend. You are always welcome to visit anytime. What a beautiful Mom and three lovely daughters. Happy Birthday to her! I have two younger sisters and no brothers as well. Sisters are the BEST! Happy Birthday to your Mom! 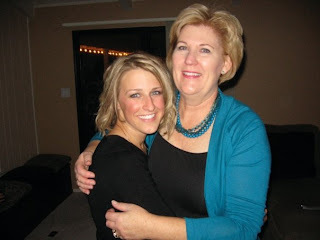 She has an incredibly sweet daughter! she is indeed beautiful!! happy birthday mom! I simply could not add anything more to what you have stated about your Momma!!! Truly a wonderful woman that I am proud to call my friend.